After almost ten-year absence, the soprano saxophone player Heath Watts returns to the Leo Records catalogue quoting Wassily Kandinsky: "The sound of colours is so definite that it would be hard to find anyone who would express "bright yellow" with bass notes or dark lake with treble." 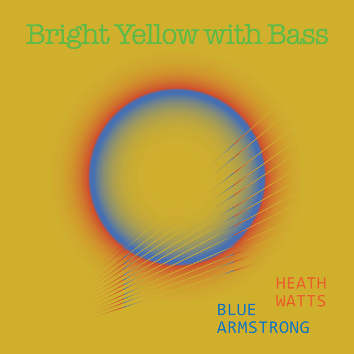 The quote is supposed to mean that the bright yellow of Heath's soprano contrasts with the deeper, darker hues of Blue Armstrong's bass. This music was recorded in the mountains of Montana (USA), far away from the deep urban canyons of Philadelphia or New York.